Hawaii Rep. Tulsi Gabbard called it “absolutely unacceptable” and an “epic failure of leadership” that the state sent out a false ballistic missile alert — and then took nearly forty minutes to correct the error. The Hawaii rep, appearing Sunday on ABC’s “This Week,” also said the false alarm shows the need for President Trump to negotiate with North Korea on its nuclear arsenal. The false alert from the Hawaii Emergency Management Agency warning of an incoming ballistic missile went out to cell phones of people across the state Saturday morning and also blared across television screens. It took 38 minutes to send a new alert correcting the error, which occurred when someone pushed the wrong button. “It’s absolutely unacceptable, and it’s an epic failure of leadership,” Gabbard said Sunday. Gabbard said the warning sparked mass panic across the state. 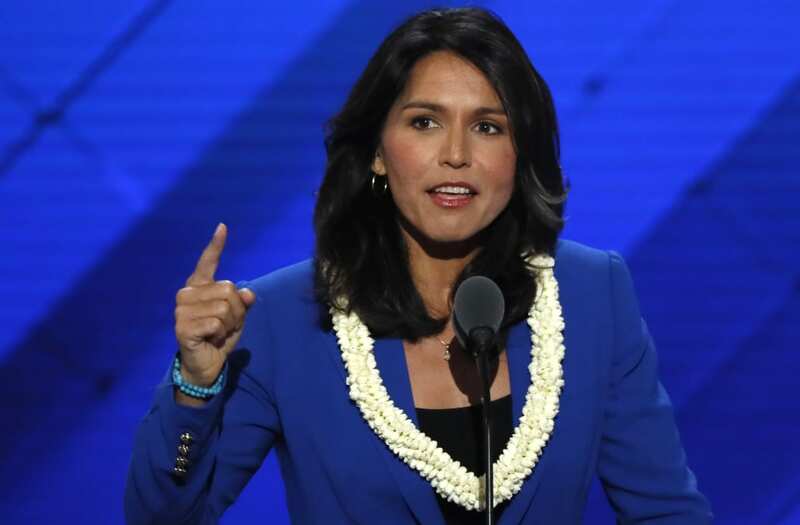 Gabbard, a Democrat, said Trump should be talking directly to North Korean leader Kim Jong Un to work out a deal so that the people of her state are no longer living in fear of a possible nuclear attack. “This threat of nuclear war, nuclear attack is not a game,” she said, adding that Trump should “absolutely and immediately” be speaking to Kim. “The people of Hawaii are paying the price now for decades of failed leadership in this country, of failure to directly negotiate, to prevent us from getting to this point where we’re dealing with this threat today,” she said. The Congresswoman said there should be no preconditions demanded before talks begin. Trump should “sit across the table from Kim Jong Un without preconditions, work out the differences, figure out a way to build this pathway towards denuclearization because there is so much at stake,” she said. Trump has derided Kim as “Rocket Man” and dismissed negotiations with North Korea as a waste of time, threatening to wipe the country out if it threatens the United States. But he has also said he’d be willing to talk to the North Korean leader if certain conditions are met.